“I am a huge Dexter fan. Watching season 5 of Dexter helped me to heal from an unfortunate encounter with a sociopath. I wanted Dexter to have a happy ending so I wrote some fan fiction giving Dexter redemption. 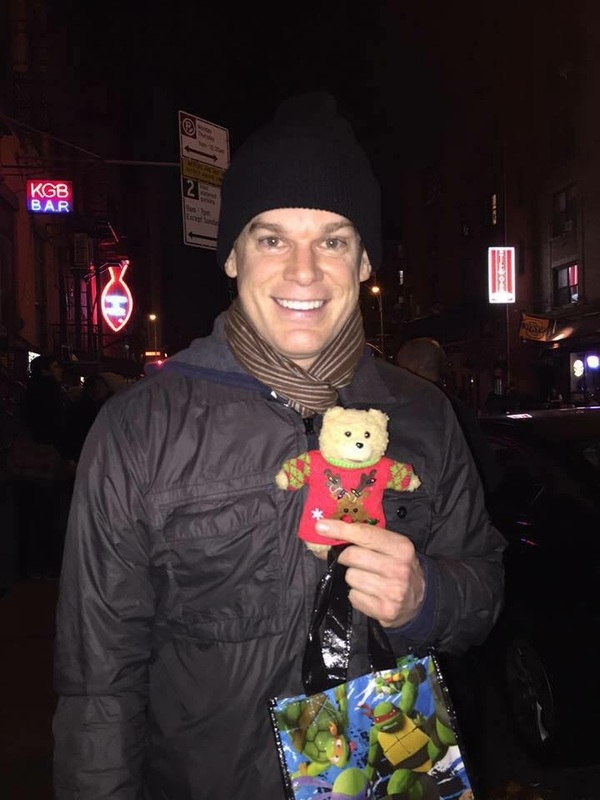 I then had the good fortune to personally hand it to Michael C Hall, and 18 months later I was able to see Michael star in David Bowie’s musical LAZARUS, and I was lucky enough to see Michael again at the stage door. He remembered me, and I asked him if he liked the story. He told me that my story was amazing. That moment was very special. As a writer, the fact that Michael liked my story meant more to me than an Academy Award. I WAS SO HAPPY with the AXL/DC shirts that you made for me, that I wanted to crystallize the memory of that day. 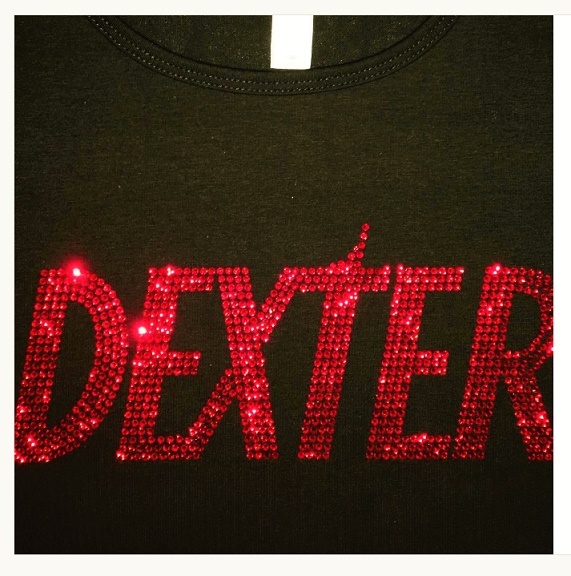 This entry was posted in Crystallized, genuine swarovski, sparkle plenty designs, sparkle spotlight, Swarovksi Crystal Shirts, swarovski body bling, Uncategorized and tagged dexter, hall, michael c, michael c. hall. Bookmark the permalink.